He was a towering personality, extremely dynamic, a rare combination of intense asceticism and inspired seva. A doctor by profession, he treated the body as well as the mind with his insight into the secrets of pharmaceutical preparations and his uplifting humour and innate joy. His vibrant exhortations to seek the highest found expression in his spontaneous outburst of songs. 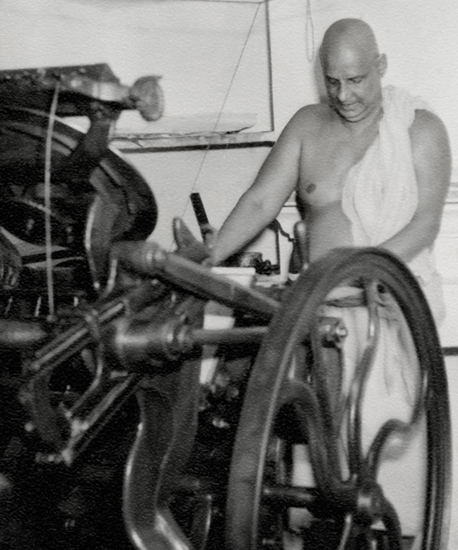 Many were the spiritual stalwarts moulded under the hands of Swami Sivananda. It was Sri Swami Sivananda Maharaj who found the massive treasure of spiritual wealth hidden in the heart of Balakrishna Menon and made it shine forth in the form of Swami Chinmayananda. The Guru left a deep impact on his student in the method of approaching seekers and the style of addressing them with direct and inspiring spiritual advice. 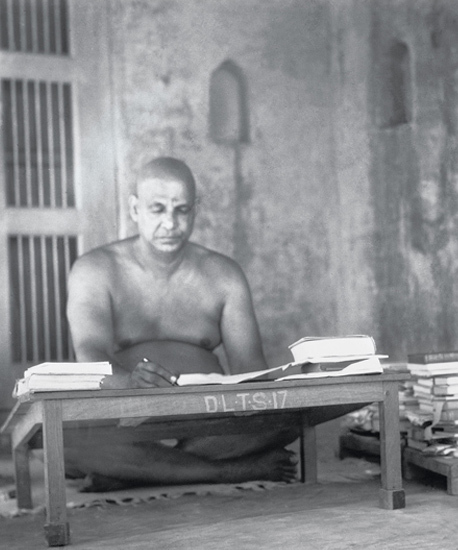 For further in-depth scriptural studies he sent Chinmaya to Sri Swami Tapovan Maharaj. Sri Swami Sivananda Maharaj and Sri Swami Tapovan Maharaj were close friends and interacted frequently. In the early years, both of them lived in Swargashram and would often spend long hours in meditation. 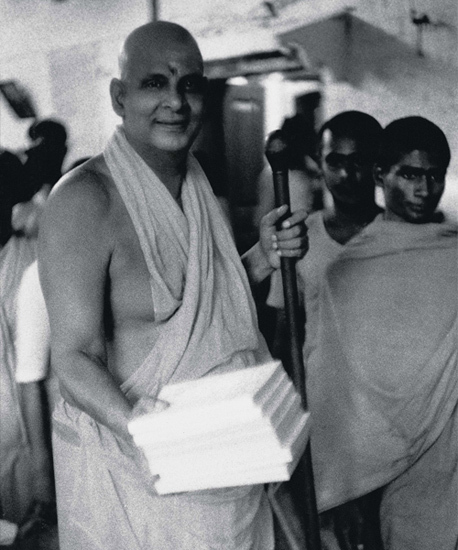 Besides being a great orator, Pujya Swami Sivananda Maharaj was also a prolific writer. He used the power of the written word to its fullest extent. Books, pamphlets and brochures flowed from his pen with great ease. 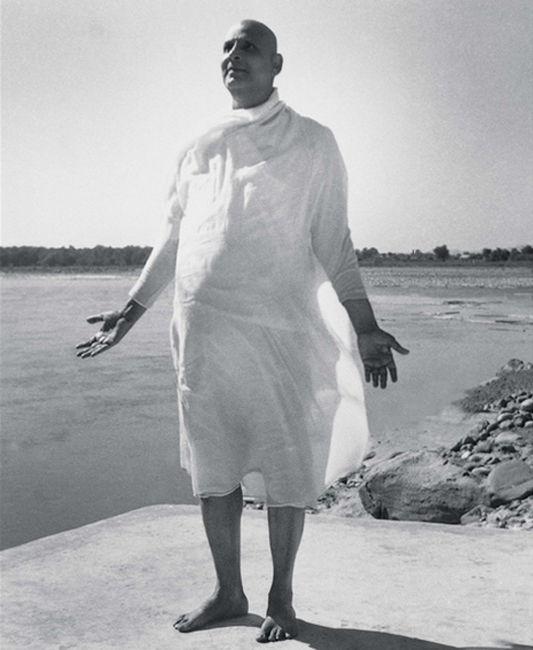 He wrote on a variety of subjects – Vedanta, Sadhana, Yoga, Saints and Sages and many other topics of general interest. 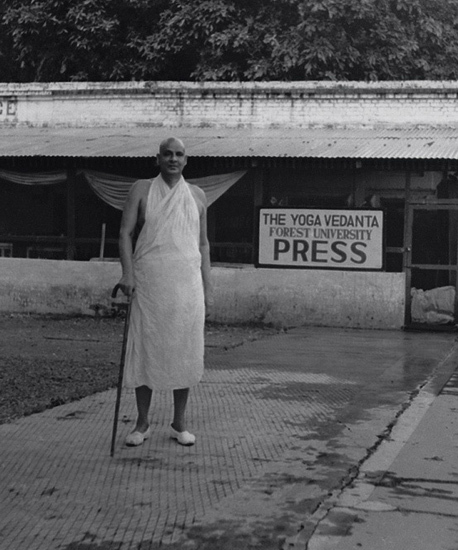 In September 1951, Swami Sivananda established the Yoga-Vedanta Forest Academy Press, a powerful means of wide dissemination of knowledge through various publications. 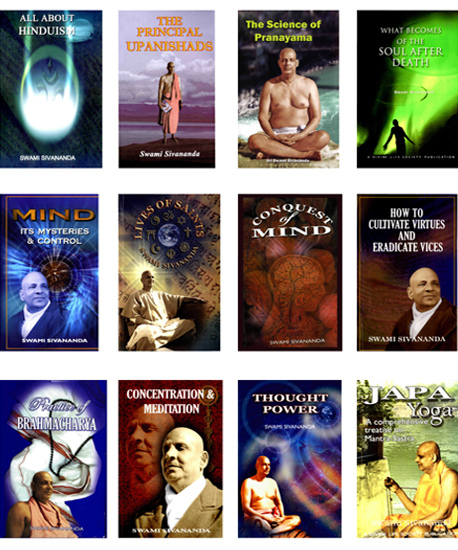 The Divine Life Society website displays various books written by Swami Sivananda, on everything from Blood Pressure to the Brahma Sutras. For more information on Divine Life Society, click here. 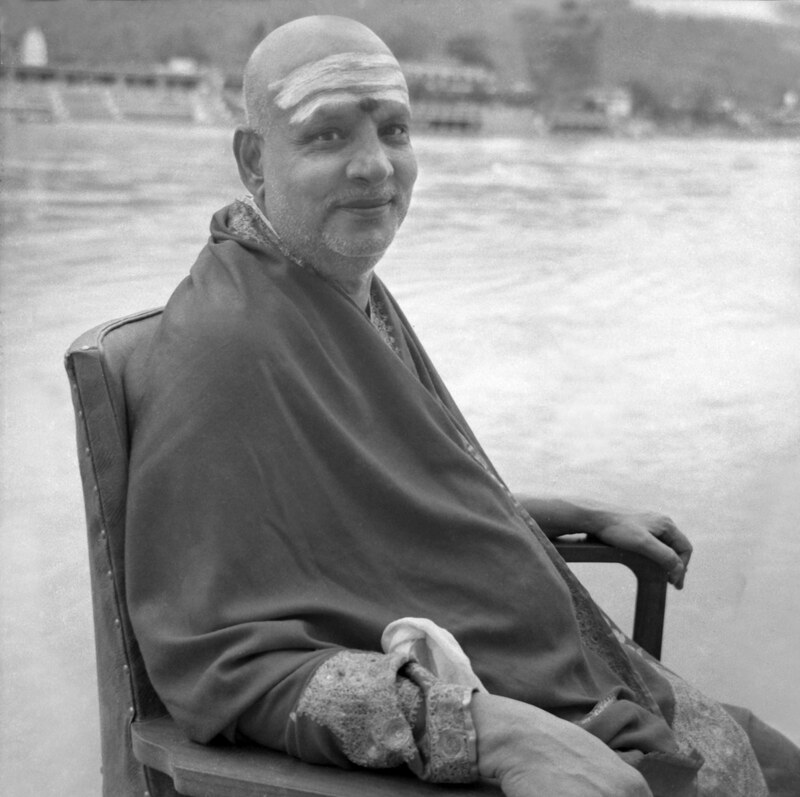 Thanks to the Divine Life Society, we are pleased to share a collection of photographs of Pujya Swami Sivananda Maharaj. To view this collection please click here. To hear Swamiji’s voice and watch a video of Swamiji please scroll below. 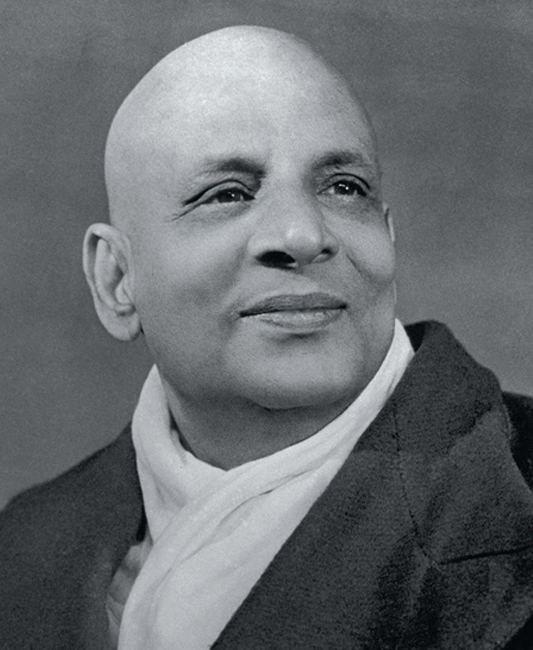 Swami Sivananda composed and sang numerous bhajans, always infusing them with nuggets of wisdom for aspirants. The Song of Instructions is one such example. 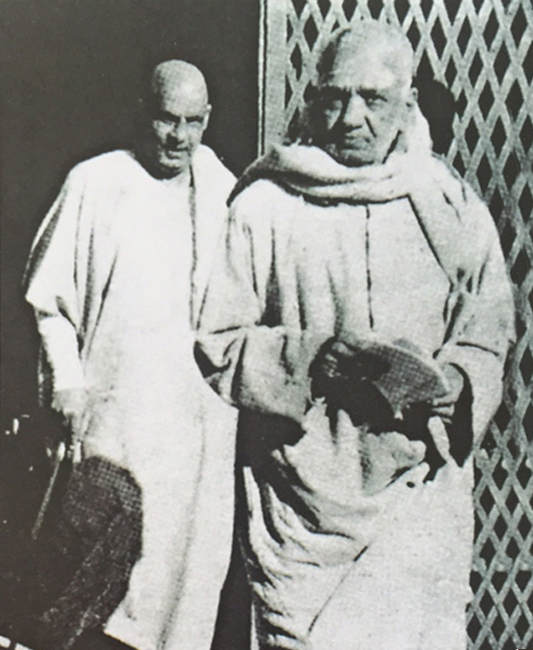 Thanks to our friends at the Divine Life Society, we are pleased to present an extremely rare video of Swami Sivananda and Swami Tapovanam together. 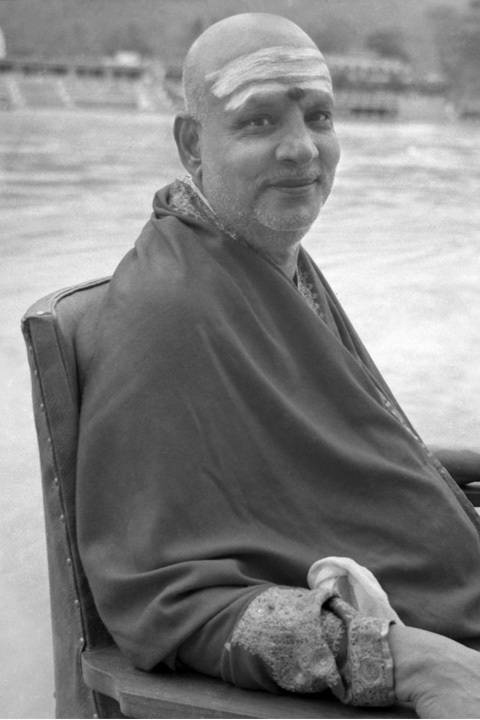 Swami Chidananda, who was the President of Divine Life Society, after Swami Sivananda.